Dan: This is what defeat looks like. Your jihad is over. Remember how it took a moment to process the reality of the announcement that Osama bin Laden, leader of the al Qaeda terrorist organization, had been killed by the Americans? I do. It was late at night and it didn’t seem real. The Americans had made it their personal mission to hunt down and kill the man behind the horrifying September 11th terrorist attacks, but that was nearly ten years prior. It seemed to me, to most perhaps, that their efforts would ultimately prove fruitless, to the point where I had almost forgotten they were still looking for him. Find bin Laden they did though and now, thanks to Academy Award winning director, Kathryn Bigelow (THE HURT LOCKER), you can see exactly how it happened and precisely why it took so darn long. 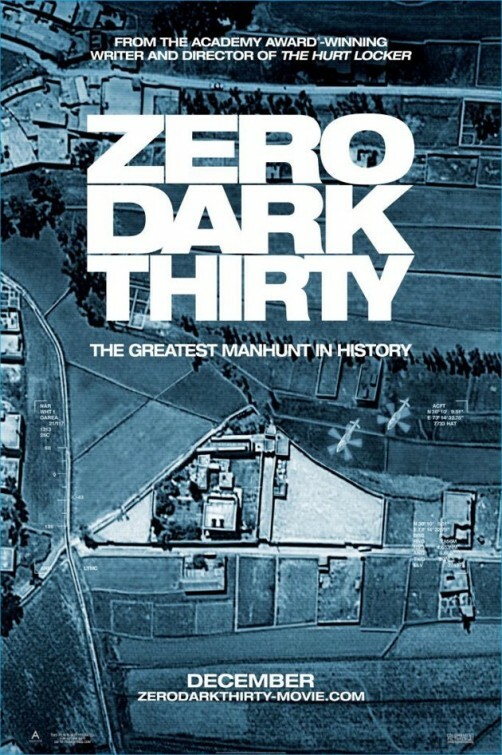 ZERO DARK THIRTY, a reference to the approximate hour bin Laden was killed, is an intense account of the ten years it took to fulfill the promise President George W. Bush made to his people after they were attacked. Bigelow does not shy away from the dirtier details of the mission, exposing us to a great deal of torture from the very onset. The manner in which America dealt with its enemies changed a great deal after 9/11, and again since then, when it was exposed to the world how horrible they were being to their detainees. Bigelow hardly glorifies their methods but she also is sure to show that if it weren’t for some of these tactics, they might not have been able to prevent some potentially disastrous terrorist plots. To watch the ever changing face of how the Central Intelligence Agency worked to protect the American people, only further highlights just how long it took to execute its vendetta. To watch that mission presented as an obsession sheds some much needed light on how it may have also distracted from thwarting some other successful terrorist attacks. Bigelow reteams with THE HURT LOCKER screenwriter, Mark Boal, for ZERO DARK THIRTY, and while the twosome certainly work well together and know how to craft tense, taut thrillers, their latest collaboration lacks some of the deeper insight their previous success had. 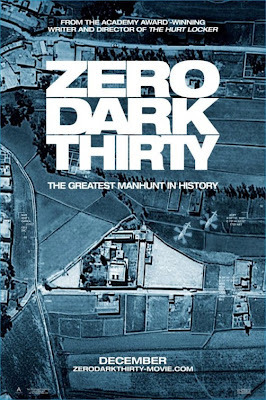 Watching THE HURT LOCKER, I felt a grander sense of purpose in the unfolding action, while ZERO DARK THIRTY felt more like a straight forward manhunt thriller than anything else. Sure, it is led by the luminous, Jessica Chastain, in yet another remarkable performance, but even her profound subtlety doesn’t bring us anywhere underneath the surface of this hunt. That being said, the surface itself, which clocks in at a near two and a half hour runtime, is stellar, fully engaging from start to finish. Perhaps if I was American though, accomplishing the mission would have felt more personally satisfying. 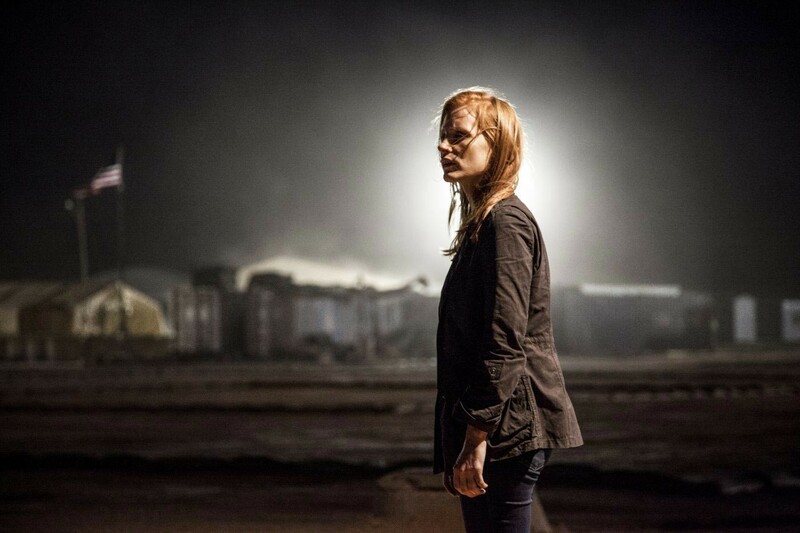 ZERO DARK THIRTY certainly saw its fair share of controversy during its theatrical run. You know that Oscar campaigning has gone too far when mud originally flung to at a film to take away from its chances of winning an award, is suddenly being discussed in the mass media as well as on the senate floor. The original argument was made that intelligence shared with the filmmakers was classified and that many details should not have been shared. From there, the conversation became about how the film glorifies or justifies the use of torture on the part of the American government to obtain the information necessary to find, and eventually kill, Osama bin Laden. Eventually, the talk was how the filmmakers had distorted some of the details of the actual operation, as if creative license ceased to exist. Hopefully, now that the film has found its way to people's homes, people can enjoy it for what it actually is, a really great film. What I said then: "Watching THE HURT LOCKER, I felt a grander sense of purpose in the unfolding action, while ZERO DARK THIRTY felt more like a straight forward manhunt thriller than anything else." And now? Having seen the film a second time, I still feel similarly. ZERO DARK THIRTY is an intense thriller. 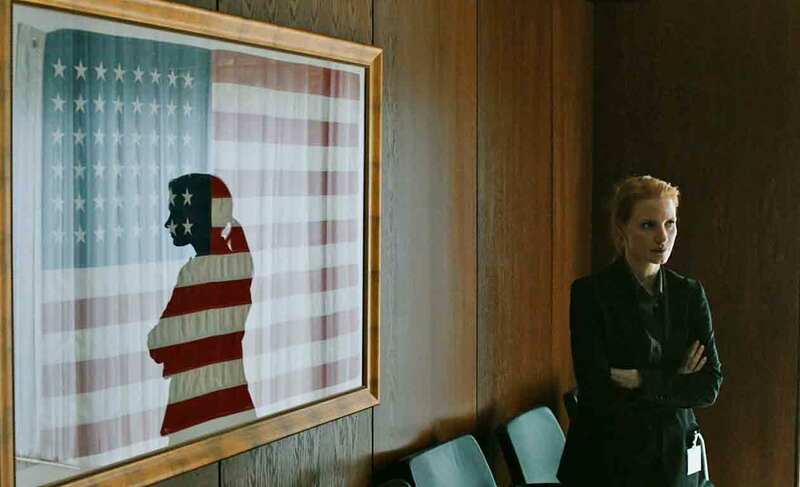 Jessica Chastain leads the charge for this driving military operation and it is consistently compelling from start to finish. It never took on any greater meaning for me though. There was commentary on the approach taken, presented in as objective a fashion as possible, but that is the extent of it really. I commend Bigelow for remaining objective but this is a highly subjective topic and it felt like her opinion on the subject was missing. 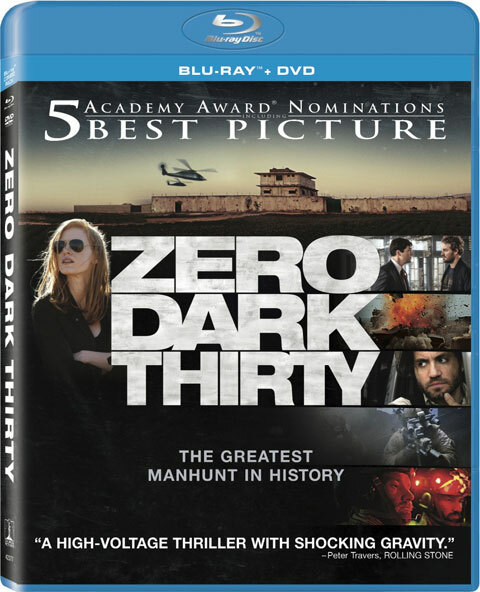 SPECIAL FEATURES: The ZERO DARK THIRTY special features are fairly simple when they could have actually been quite revealing about what went into the construction of this film's plot. I did learn that Bigelow was originally planning on making a film about how the Americans lost bin Laden in December of 2001. In the middle of that process though, bin Laden was actually killed, which inadvertently changed the direction of this film. Many elements of the productions design, like the stealth helicopters they recreated without having ever seen or the compound where bin Laden was killed itself, are explained in fascinating detail. They don't really amount to much more than puff pieces for awards consideration though. All the same, ZERO DARK THIRTY doesn't need extra padding to make it must own. It just would have been nice to get a little more intelligence on how they found their intelligence. You make a valid point about Bin Laden hunt, "how it may have also distracted from thwarting some other successful terrorist attacks." I agree Bigelow's opinion on the subject was missing. Maybe when she retires she can write an autobiography and talk about her position. There were certain elements that just couldn't be discussed in the film, that they couldn't access from their sources. I think it is an excellent film, just left me somewhat cold.